A project to create one of the world’s most advanced environments for connected and autonomous driving has entered its second phase of testing, with connected cars going on trial on public roads to prepare the UK’s road networks for self-driving cars. 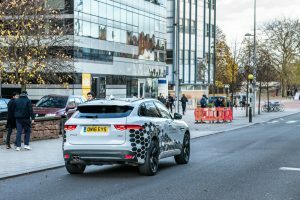 The second phase of the UK CITE consortium will see Jaguar Land Rover trial a range of intelligent connected features such as emergency electronic brake light warning (EEBL), emergency vehicle warning (EVW), and in-vehicle signage (IVS) for road works warning (RWW) and traffic condition warning (TCW). The UK CITE project will create the UK’s first fully connected infrastructure, using a globally unique combination of wireless technologies, which can enable real-world testing in a safe and managed way. The project is funded by the Government’s £100m Connected and Autonomous Vehicle fund, delivered by Innovate UK. The project is worth a total of £7.1m including investment from the Government and Highways England. Work by Transport for West Midlands (TfWM) and Coventry City Council enabled the installation of critical infrastructure on urban roads in advance of the installation of 35 of Siemens’ ESCoS road side units on the M40 and M42 motorways. These units provide the technical platform for real-time data exchange between vehicles and traffic control equipment. Vodafone Group supported this phase of activity with the provision of 30 smartphones and network connectivity for infrastructure to vehicle communications. In addition to on-road testing, simulation plays a key role in taking the project into its next phase. HORIBA MIRA is developing a simulation system to model connected vehicles tested via the UK CITE corridor and Coventry University will be using the data from the live vehicle trials and scaling it into a larger virtual environment using simulation modelling. 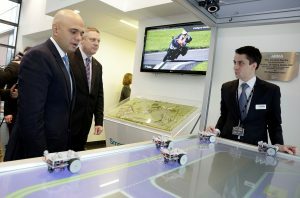 UK Connected Intelligence Transport Environment (UK CITE), a project to create the most advanced environment for testing connected and autonomous vehicles, demonstrated its latest innovations earlier today (Thursday, April 12) at Jaguar Land Rover’s Gaydon site. The event displayed the technological advances made by the consortium to key partners, covering stakeholders from the automotive industry, technology and infrastructure providers and operators, and academia. The talking car technologies demonstrated were the consortium’s Emergency Vehicle Warning (EVW), Emergency Electronic Brake Light (EEBL), Road Works Warning (RWW) and Traffic Condition Warning (TCW). These connected technologies allow cars to communicate with each other and the road infrastructure, providing intelligent insight on road conditions. All of the technologies demonstrated at Gaydon provide advanced warning to the driver. This intelligent insight in to road conditions is a key benefit to Connected Vehicles, whether manned or autonomous. For instance, advanced warning that a car in front of you has applied its brakes, with no line of sight, offers obvious advantages to the user who can anticipate the need to alter their driving and avoid any potential accident. Claire Lewis, Senior Business Development Manager at lead consortium partner, Visteon– responsible for the overall technical architecture of the project, including multi-path connected car hardware and software and a smartphone application – said: “We have made significant strides with the development of our Phase 1 technologies and this event provided a great opportunity for us to demonstrate the full functionality of these innovations to our key partners. Chris Holmes, Connected and Autonomous Car and Chassis Research, Senior Manager, Jaguar Land Rover, said: “We are proud to be part of the consortium pushing the UK automotive industry forward as a global leader, truly innovating in the field of Connected and Autonomous Vehicles. HORIBA MIRA Ltd. – a leading independent provider of engineering consultancy, R&D and testing in the field of Connected Autonomous Vehicles (CAV) – has completed the development of a working traffic model as part of its work with the UK Connected Intelligent Transport Environment (UK CITE) consortium. The model is able to simulate traffic flows and driver behaviours along a mix of urban and motorway roads, reflecting what would be expected to be seen in the real world. This model is a key step towards the development of V2X communications simulations, which are due for completion by the end of the year. The model is a product of HORIBA MIRA’s new Simulation and Modelling team, developed with the Vissim microsimulation package from PTV; world leaders in traffic simulation. The UK Connected Intelligent Transport Environment (UK CITE) consortium – made up of MIRA and 10 other consortium members – is a major project totalling £7.1m, which includes investment from Innovate UK. 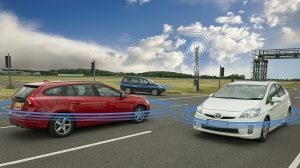 The project will enable automotive, infrastructure and service provider companies to trial connected vehicle technology, infrastructure and services in real-life conditions. The connected environment will be on 40 miles of roads within Coventry and Warwickshire, and will seek to understand how the technology can improve journeys, reduce traffic congestion and provide in-vehicle entertainment and safety services through better connectivity. Chris Reeves, Commercial Manager, Future Transport Technologies and Intelligent Mobility at HORIBA MIRA, said: “The completion of the traffic model is an important step forward within the project, and we’re delighted with the progress made to date. UK CITE is made up of a number of consortium partners within the automotive, infrastructure and service companies, and includes HORIBA MIRA, Visteon, Jaguar Land Rover, Siemens, WMG, University of Warwick, Coventry University, Coventry City Council, Vodafone, Huawei Technologies, Transport for West Midlands and Highways England. The UK CITE project will create the UK’s first fully connected infrastructure using a globally unique combination of wireless technologies, which can enable real-world testing in a safe and managed way. A project to create one of the world’s most advanced environments for connected and autonomous driving begins today, June 1, following a successful application for funding from government’s £100 million Intelligent Mobility Fund. 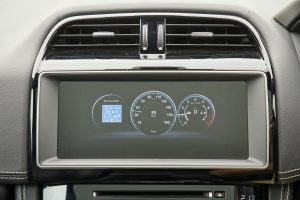 The fund, which has been established to accelerate research and development in connected and autonomous vehicle technologies, is administered by the Centre for Connected and Autonomous Vehicles (CCAV) and delivered by the UK’s innovation agency, Innovate UK. The globally unique UK Connected Intelligent Transport Environment (UK CITE) project – which could see trials on public roads as early as next year – is worth a total of £7.1m (including the investment from government) and will enable automotive, infrastructure and service companies to trial connected vehicle technology, infrastructure and services in real-life conditions on 40 miles of roads within Coventry and Warwickshire. The project will establish how technology can improve journeys, reduce traffic congestion and provide in-vehicle entertainment and safety services through better connectivity. The UK CITE consortium comprises leading industry, academic and local and national governmental organisations. It is jointly led by Visteon Engineering Services Limited and Jaguar Land Rover and includes Coventry City Council, Coventry University, Highways England Company Ltd, HORIBA MIRA, Huawei Technologies (UK) Ltd, Siemens, Vodafone Group Services Ltd, and WMG at University of Warwick. The UK CITE project will create the UK’s first fully connected infrastructure on public roads using a combination of wireless technologies, which can enable real-world testing in a safe and managed way. 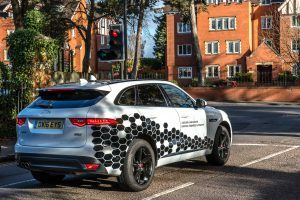 Tony Harper, Head of Research and Technology at Jaguar Land Rover, said: “This real-life laboratory will allow Jaguar Land Rover’s research team and project partners to test new connected and autonomous vehicle technologies on five different types of roads and junctions. Other research corridors already exist in other parts of Europe. This test route with its mixture of road types and technology deployment is challenging the technology operation in real world environments and will provide the insight needed for deployment. This test route is exactly the sort of innovative infrastructure the UK needs to compete globally. The project is expected to take a total of 30 months, and is made up of the following consortium members: Visteon Engineering Services Limited, Jaguar Land Rover, Coventry City Council, Coventry University, Highways England Company Ltd, HORIBA MIRA, Huawei Technologies (UK) Co Ltd, Siemens, Vodafone Group Services Ltd and WMG at University of Warwick. A project to create a globally unique test environment for connected and autonomous driving in the UK has been given the green light after receiving a multi-million pound grant from the UK’s innovation agency, Innovate UK. 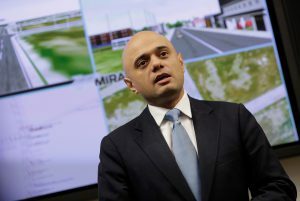 Secretary of State for Business, Innovation & Skills, Sajid Javid MP, today (Monday, February 1) visited HORIBA MIRA in Nuneaton, Warwickshire, to announce the £7.1 million UK Connected Intelligent Transport Environment (UK CITE) project. This will enable automotive, infrastructure and service companies to trial connected vehicle technology, infrastructure and services in real-life conditions over the next two-and-a-half years on roads in Coventry and Warwickshire in the West Midlands. 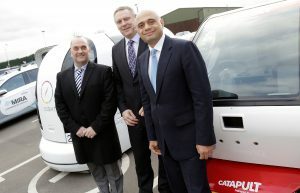 The pilot scheme, which will create or safeguard up to 350 jobs, involves a group of companies and organisations led by Jaguar Land Rover and Visteon, and includes leading industry partners HORIBA MIRA, Siemens, Vodafone, WMG, University of Warwick, Huawei, Coventry University and Coventry City Council and supported by the Coventry and Warwickshire Local Enterprise Partnership (CWLEP). The consortium partners will create the first fully connected road infrastructure using a globally unique combination of wireless technologies which can enable real-world testing of connected, semi-autonomous and eventually autonomous driving in a safe and managed way. The infrastructure will form the basis of an on-going real world test facility which will be open to other manufacturers and technology companies to use. Infrastructure and technology will be deployed on a mixture of different road types, including dual carriageways and city centre roads. The benefits of the technology will be to improve safety and efficiency of the road network. Computer modelling will simulate the impact of the wider take-up of this technology over time on drivers, infrastructure capacity, safety and cyber-security. Initial off-road tests will take place at HORIBA MIRA in Nuneaton, Warwickshire, before the trials start on the public roads as early as 2017. Dr Wolfgang Epple, Director of Research and Technology, Jaguar Land Rover, said this successful bid enhances the UK’s position as a leading hub for connected vehicle research and development. The UK CITE project includes a £3.41 million grant from Innovate UK, which works with people, companies and partner organisations to support science and technology innovations that will grow the UK’s economy. The remaining project budget is provided by investment from the project’s partners. Martin Green, Technology Manager at Visteon, said: “The consortium is made up of industry leaders in network, infrastructure and connected technology which, combined, facilitates the world’s first fully connected corridor trials. Cllr Kevin Maton, CWLEP board director and Coventry City Council Cabinet Member for Business Enterprise and Employment, said: “We are delighted to be part of this project. Coventry has a proud tradition and a bright future when it comes to cutting-edge innovation. The partners in this project are all at the forefront of their sectors and we are in excellent company. Roland Meister, Head of Transport at the UK’s innovation experts Innovate UK said: “The UK is rapidly becoming one of the best places in the world for companies to develop their Intelligent Mobility business. We know that cooperative innovation leads to increased productivity and long term export success, which is why it is at the heart of Innovate UK’s ‘fund and connect’ strategy.